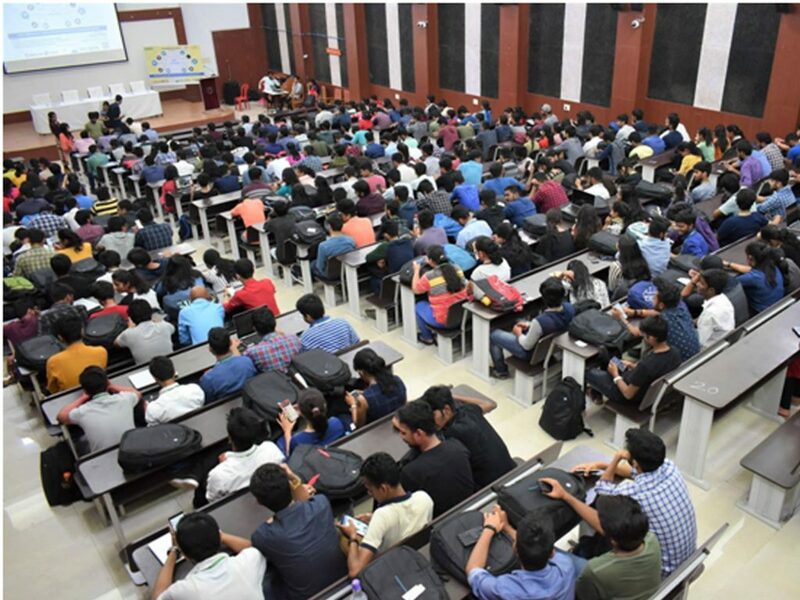 KIIT Robotics Society organizes a two-day Workshop on Internet of Things on 23rd and 24th March, 2019, the Inaugural Ceremony of which was held in the presence of Prof. Hrushikesha Mohanty, Vice Chancellor, KIIT DU; Dr. Nirmal Kumar Rout, Professor, School of Electronics Engineering; Dr. U.P. Singh, Senior Professor, School of Electronics Engineering and Mr. Dilip Iyer, Trainer, Eduvance along with the faculty members of School of Electronics Engineering. 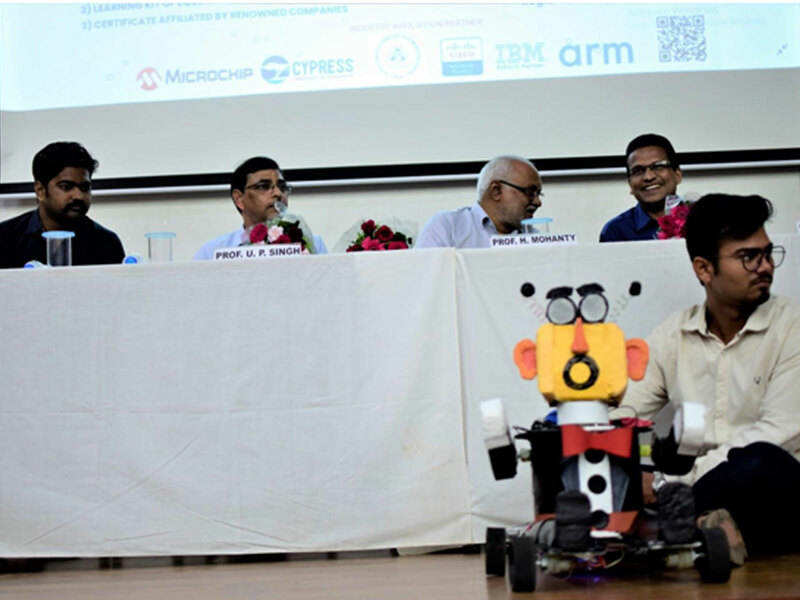 This ceremony was also graced by the presence of KIIT Robotics Society’s very own semi-humanoid robot – Mr. Dash. In his Address, Prof. H. Mohanty remarked, “I am very overwhelmed to see multidisciplinary crowd assembled here to gain knowledge despite a day just after Holi.” Heshared some tips to augment the level of workshop in upcoming years. He also showed students the path to go abroad for lab internships and researches in various foreign Universities by citing an example. Prof. Nirmal Kumar Rout said “I am very much pleased to see this grand workshop by the highly motivated members of KIIT Robotics Society”. He encouraged the crowd to design IOT prototype in future by the knowledge they are going to gain in the workshop. Prof. U.P. Singh advised to implement the things to Industrial level and come up with some good projects before the degree completion. Mr. Dilip Iyer stated that he is looking forward to teach everyone and have a great time with the enthusiastic crowd to whom he urged to tighten up their seat-belts for a future changing journey.